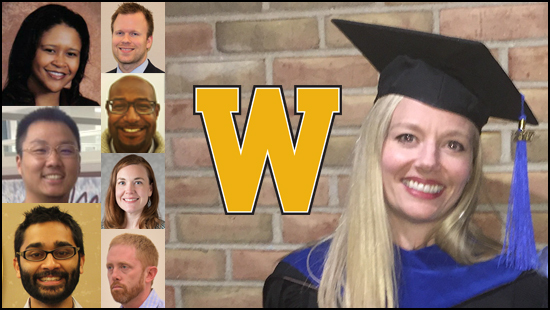 A PhD from Western Michigan University pays big dividends, as these recent graduates prove. Out of over 120 doctoral graduates from Fall 2016 and Spring 2017, we chose several who have exciting opportunities after graduation. Three have post-doctoral research offers at prestigious institutions around the country, several have faculty positions at universities here and abroad, and some are working in their fields. Their experiences reinforce research which shows that a doctoral degree is a worthwhile investment. James Atkinson, who recently completed his doctoral degree in Chemical and Paper Engineering, has obtained a job as a pre-press operator at LTi Printing in Sturgis, Michigan. LTi Printing is a locally owned and operated printing company that employs 100 people and focuses on packaging, pressure sensitive labels, and commercial and digital printing. In a technology-driven industry, hiring employees who are experts in their field is key to meeting strategic goals. Atkinson’s dissertation analyzes the ‘Fate of Conductive Ink Pigments During Recycling and Landfill Deposition of Paper-Based Printed Electronics.” He focused on recovering metallic inks so they do not enter the water table and contaminate groundwater, with an added economic bonus of reusing the metallic inks. With his committee composed of Drs. Andro Mondala, Paul Fleming, Jan Pekarovic and Jorge Rodriguez, Atkinson has positioned himself to rise in the rapidly evolving printing industry. As a newly appointed Assistant Professor at the University of Cincinnati, Neil Deochand’s 2017 doctoral degree from WMU has paid off handsomely. His research indicates that using real-time audio and video feedback correlates with better workouts and improved athletic performance compared to a standard workout. With Dr. Wayne Fuqua of WMU’s Department of Psychology as chair of his committee, Deochand worked with Drs. Ron Van Houten, Anthony DeFulio, and Derek Reed to refine his research into a dissertation titled ‘Assessing a Punching Bag Feedback Performance Device’. Dr. Deochand and his wife, Michelle, are now living in Cincinnati, Ohio where a new baby will soon join their son Scion as heir to the family brains. Another recent graduate of the doctoral program in Psychology, Andrew Hale, is nearing completion on his pre-doctoral clinical internship at the Veteran’s Administration Ann Arbor, MI Healthcare System. Upon completion, he will begin a two-year post-doctoral research fellowship at the VA Center for Clinical Management Research, a Health Services Research and Development Center of Innovation located in Ann Arbor. Here he will continue his work with veterans reflected in his dissertation, ‘Predictors of change in Cognitive Processing Therapy (CPT) for veterans in a residential Post Traumatic Stress Disorder treatment program.’ Hale’s committee chair Dr. Richard Spates joined with Drs. Scott Gaynor, Amy Damasheck and Jessica Rodriguez to mentor Hale through the process of obtaining a doctoral degree. We wish him the best as he continues through his post-doc to a career helping veterans recover from trauma. Lindsay Jeffers has just accepted a visiting faculty position at Grand Valley State University in the Department of Writing. Her dissertation focuses on the challenges of student teachers and those who mentor them in ‘Preparing Teachers in English Language Arts: Mentor Teachers Speak.’ With Dr. Jonathan Bush as chair and Drs. Karen Vocke, Allen Webb and Leah Zuidema as members of her dissertation committee, Jeffers received her doctoral degree in the English Education program in the Department of English at Western Michigan University. Along with her work instructing future English teachers, she currently blogs on https://writerswhocare.wordpress.com/ . Here teachers of English to elementary and secondary school students share the joys and challenges of developing budding writers. Another PhD recipient who will be working at GVSU is Elizabeth MacQuillan. She received her degree from WMU in Interdisciplinary Health Sciences program under Drs. Amy Curtis, Kathleen Baker and Rajib Paul. Dr. MacQuillan was offered a faculty position in the new Masters of Science in the new Clinical Dietetics program at Grand Valley State University. 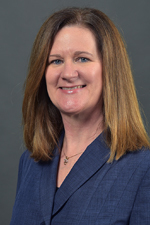 MacQuillan has been busy since defending her dissertation, titled ‘Birth Record Analysis of Gestational Diabetes: Applications for Intervention Planning.” This study aims to assess Michigan-wide rates of gestational diabetes using a combination of statistical and spatial analyses. What makes her study truly interdisciplinary and groundbreaking is her use of statistical analysis and Geographic InformationSystems (GIS) to identify where services are most needed in Michigan and what type of content those services would most beneficially deliver. She recently presented her research at the Society for Pediatric and Perinatal Epidemiologic Research conference in Seattle, WA and in July had an article published in the Michigan Journal of Public Health. Justin Moore, PhD in Clinical Psychology, conducted several months of study at a local alternative high school, instructing students on mindfulness practices and assessing the effectiveness of their use. Moore used a computer-based strategy to teach the adolescents mindfulness strategies and score participants throughout the study to determine their levels of psychological distress using the Depression, Anxiety and Stress Scale. Moore’s research found that two interventions, breath-counting and self-compassion, had mixed results. He determined that while computer based interventions did not produce reliably positive results on overall mental health, as demonstrated by the DAS Scale, the practices did show some promise in promoting the acquisition and practice of mindfulness in teens. A successful defense of his dissertation, “Examination of the Effects of Computer Assisted Mindfulness Strategies with Adolescents in an Alternative High School Setting” took place on May 11, 2017. His committee, comprised of Drs. Scott Gaynor, Amy Naugle, C. Richard Spates and Helen Pratt, was proud to recommend Dr. Moore for his next step: a pediatric psychology post-doctoral position at the prestigious Cleveland Clinic Children’s Hospital. Another WMU graduate has attained a post-doctoral position with a famous organization. Tiantian Zhang, of the Deparment of Biological Sciences/Biomedical Sciences, has begun his work in Dr. Larry Kwak’s laboratory in the City of Hope Cancer Center in Los Angeles, CA. Dr. Kwak was named one of Time Magazine’s 100 Most Influential People in 2010, and Dr. Zhang will join Dr. Kwak’s lab working toward a cure for cancer. His dissertation, “Oncolytic Tanapoxvirus for Melanoma Therapy” demonstrates how oncolytic viruses, which infect cancer cells with anti-tumor immune responsivity, may emerge into a potentially effective therapy against melanoma, a deadly form of human cancer. Working with Drs. Karim Essani, Bruce Bejcek, Robert Eversole, and Christopher Fisher, Dr. Zhang was also an active member of the Graduate Student Association and was one of the first Graduate Ambassadors appointed by Dean Susan Stapleton when she launched the Graduate Ambassador Program in 2013. Like many students in the Educational Leadership, Research and Technology department, Ericka Taylor came to WMU already functioning as a leader in an educational setting. By earning her doctorate, Taylor has positioned herself not only to shine in her current role as Early Childhood Coordinator for Saginaw Public Schools, but also to continue to rise in the ranks of her profession. Taylor worked with Drs. Walter Burt, Sue Poppink, and Kelley Peatross on her dissertation, titled “Are the Leadership Behaviors of K-12 Leaders in Mid-Western Urban School Districts Influenced by Their Beliefs and Attitudes Regarding Spirituality?” Dr. Taylor’s project concluded with several recommendations for improving professional development and support for individuals working in this high stress environment. These strategies include holding spiritual values, utilizing meditation or prayer, and employing practices which develop and maintain a strong sense of purpose and a collective sense of mission for all employees. Laura Alicia Pacheco del Castillo worked with Drs. Joseph Morris, Mary Zoyer Anderson, and C. Dennis Simpson to attain her doctorate in Counselor Education and Counseling Psychology. Having returned to the Dominican Republic, she is now an Associate Professor in the Department of Psychology at Pontificia Universidad Católica Madre y Maestra. Her dissertation, titled “Dominican College Students’ Experiences of Distress, Help-Seeking and Stigma” looks at how Dominican students handle feelings of psychological distress through seeking psychological help. Pacheco found that about 71% of traditional-aged undergraduate college students report moderate levels of distress and also hold neutral attitudes about help-seeking, while about 67% hold moderate help seeking intentions. Over three-quarters report they themselves feel moderate stigma for seeking help and the same number report moderate levels of social stigma about psychological services. Her study, one of the first to examine college students in the Dominican Republic, contributes valuable data on mental health and help-seeking within this population and has implications for improved practice and research.